For those of you who want to stay updated at all times, there are plenty of apps on iOS and Android. All the football fans can follow scores, the latest action, news, interviews and everything happening on the ground with these apps. The much awaited FIFA World Cup 2018 is here and we have already had some thrilling matches. From surprising draws to gaping upsets, we have witnessed almost everything in the first week of the mega sporting event. 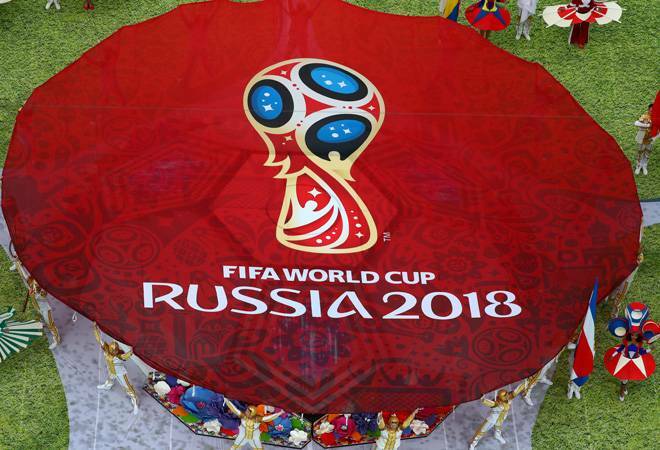 The World Cup this year in Russia features 32 national teams. For those of you who want to stay updated at all times, there are plenty of apps on iOS and Android. All the football fans can follow scores, the latest action, news, interviews and everything happening on the ground with these apps. Viewers can get all the news as it unfolds on the field through the Sony LIV app. The 'Video-On-Demand' app offers unlimited streaming of the matches. Users can get to know all the latest action, scores, updates and video highlights as well. The app is for free. However, it will have ads. The official app of the tournament, 2018 FIFA World Cup Russia 2018 will also enable viewers to get live updates, the latest news, scores and all other information about the event, players, teams etc. The app allows you to select your favourite team and you will also get real-time notifications as and when the game starts. You can also explore the nitty gritty details about players, teams and upcoming matches. Jio users will be able to stream live matches on the JioTV app for free. There will also be a live broadcast of the sporting extravaganza which will be hosted by JioTV till July 15. Users can also set reminders on the app and get match updates, news, information and upcoming matches. Live stream of the event can also be viewed on the Direct to Screen (DTS) distribution platform TATA Sky. The company has partnered with Gracenote to offer all the football action with real-time analysis of the games. All subscribers can get detailed live analysis on the platform. Analytics are available for Android users at the moment but will go live on iOS next week. Airtel TV App will offer its users to watch live stream of the FIFA World Cup 2018 on their mobile phones. Users will get all the latest updates, news, information, reviews, previews and behind-the-scenes of matches. The live broadcasts will also be available in local languages including Hindi. To view the action, users need to upgrade the Airtel TV app to its latest version. It must be noted that all content on the Airtel app is free for postpaid and prepaid users of the telecom operator till December 2018. Onefootball is another great platform to stay up to date with the latest football scores, news and more. The app offers live scores, highlights, live commentary, recap etc. Onefootball is a premium app for free and comes with a simple UI and features that enable users to choose players or teams he/she wants to follow. ESPN has created an app dedicated to FIFA World Cup to allow fans to keep track on live scores, match updates, standings and more. The app offers all updates on the game and also features articles written by experts. The app is available on both iOS and Android platforms.